Save the cost of using estate agents and letting agents by selling or renting out your own property using Local Newspaper Classified Ads and SeeItOntheNet. SeeItOnTheNet gives you free listings with pictures to aid in selling and renting of your property , and what's more we link any newspaper adverts or flyers you have to your picture listings on SeeItOnTheNet. By using local advertising such as Newspaper Classified ads and SeeItOnTheNet with its ad linking technology we can link your newspaper ads to your free picture ads on SeeItOnTheNet. 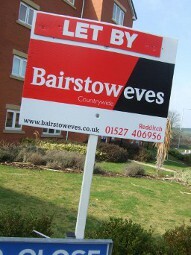 This is a very effectivly marketing tool for your property that won't break the bank. So why allow estate agents to take upto five percent of the sale price of your property or letting agents up to twenty percent of the yearly rent when you can do it yourself. Remember the biggest cost in selling or renting a house or flat is the professional fees charged by agents and online service like Rightmove. With us you can make big savings when selling by doing it yourself: Start make an Ad now ! Here's how its done: First advertising your houseor flat in your local newspaper classifeds ads section, but first read Supercharging Your Ads. Now the clever bit, the SeeItOnTheNet website links all the pictures ads you make here about your property with your newspaper ads. So SeeItOnTheNet becomes your web brochure. Its easy to market your own property: Simply by taking pictures of the important rooms and the outside views you can quickly build a porfolio of your property with each picture in its own listing with a description. Just remember your property listings will appear in the sequence you make them.